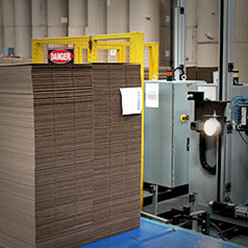 All corrugated supplied to the government must comply with Federal specifications for manufacturing Weather-Resistant grades (Class). Corru-Kraft carries the following board grades to meet these specifications W5C, V3C, V13C & V11C. These are Weather-Resistant grades that require a wet-strength grade of paper and medium. Click here to see the Federal specifications.